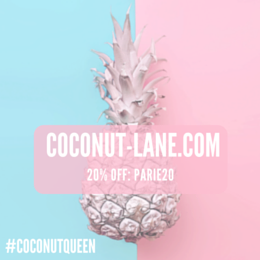 This hot weather looks like it is around to stay (fingers crossed) and that means that hydration is super important, not only drinking to keep hydrated from the inside but making sure the skin is plump and refreshed too. 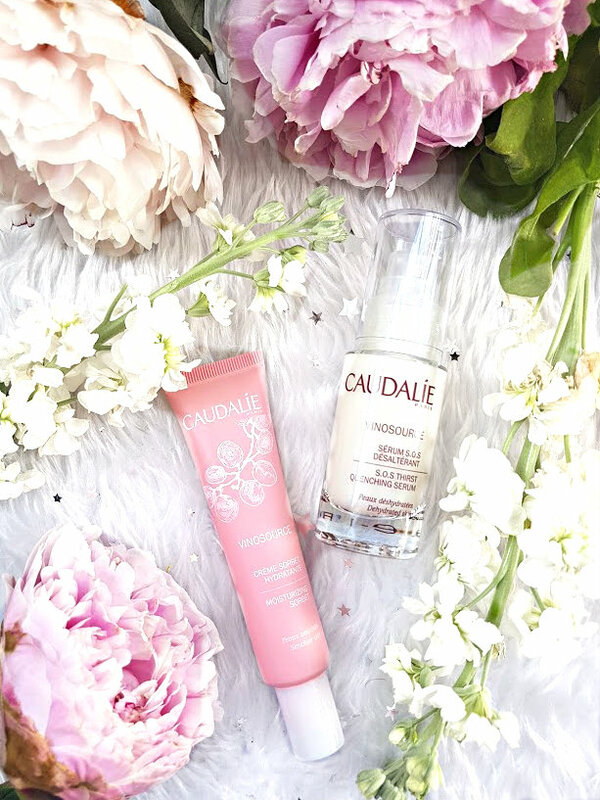 This summer, Caudalíe is going to be my go to brand for everything hydration, nourishment and soft feeling skin. Their Vinosource range is perfect for any skin type, I have combination to oily and this duo has helped my skin immensely! I actually tried the Moisturizing Sorbet (£23) years ago and remember loving it, as soon as I applied it again on my skin it made me fall back in love. Upon application, it cools your skin down which is great to have after a long day of hot sun. It is very lightweight on the skin, so oily skin people like me will have no problem with this causing issues under your makeup. The formula is almost gel like, which is easy to apply and sink into the skin. I love this as it hydrates but also soothes the skin and my texture is nowhere to be seen! As a bonus, it also smells like summer in a bottle and there is nothing that beats that smell! Serums are a product that I find really hard to place into my skincare routine, not because I don't like them but because my skin hates having too many products applied to it. The Vinosource SOS Thirst Quenching Serum (£29) is a gorgeous product, my skin just drinks this up. As I have been wearing less makeup lately, this serum is great to use in the morning under the sorbet as it gives my dull looking skin such a lift. Even without the sorbet on top, it still makes my skin look amazing. I didn't really notice a difference, until my mum told me that my skin was looking a lot brighter. I can wear this and know that my skin is looking healthy and almost dewy. I think this will be amazing to use throughout the whole year! I have fallen in love with the Vinosource range, and if you haven't tried it yet then this is the perfect time to try it! 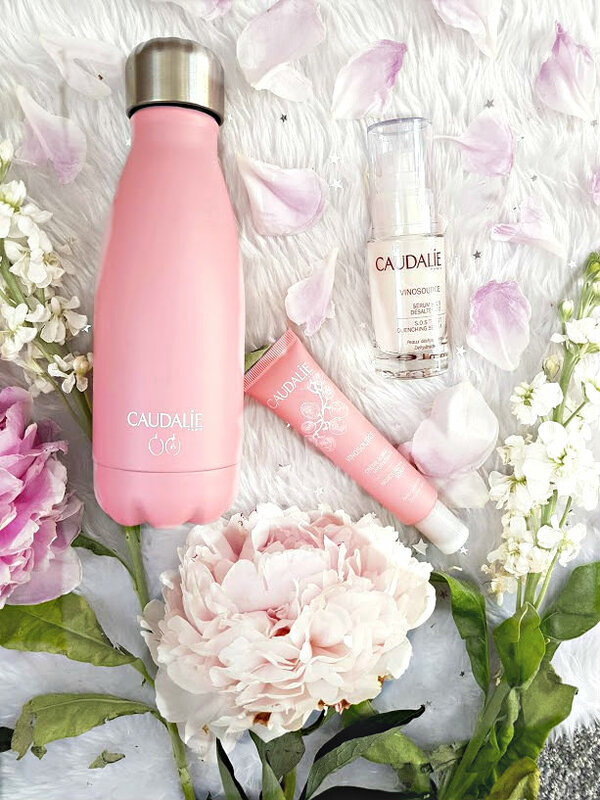 When you buy 2 or more products from the range over on the Caudalíe website, you receive this Eco-Friendly, Cute & Pink water bottle for FREE! All you have to do is enter the code BOTTLE2018. I have been obsessed with this bottle, not just the design of it but the ease of having a bottle that fits in my handbag and doesn't take up the whole world! Have you tried anything from Caudalíe?